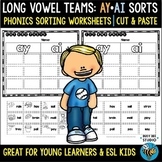 This is a great practice activity for sorting the AA and AY sounds in words. Students read, circle the AA or AY in each word, cut and sort/glue the words in the appropriate category. A good idea for a literacy center. 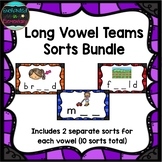 This activity can be used to help out with any word work or spelling program. 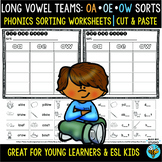 This is a great practice activity for sorting the OI and OY sounds in words. 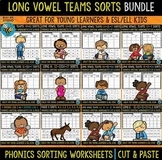 Students read, circle the OI or OY in each word, cut and sort/glue the words in the appropriate category. A good idea for a literacy center. This activity can be used to help out with any word work or spelling program. 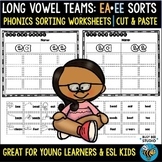 This is a great practice activity for sorting the EE and EA sounds in words. Students read, circle the EE or EA in each word, cut and sort/glue the words in the appropriate category. A good idea for a literacy center. 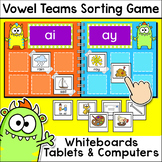 This activity can be used to help out with any word work or spelling program.